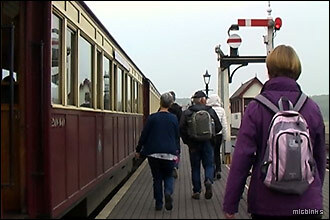 Snowdonia enjoys an abundance of restored heritage railways thanks to its rich industrial past. 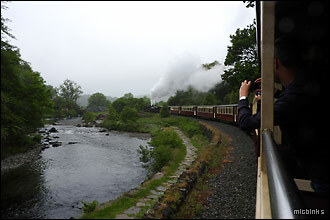 We take a ride on the scenic Welsh Highland Railway, the UK's longest narrow-gauge line – and North Wales' newest – through the beautiful Snowdonia National Park from Porthmadog to Beddgelert. 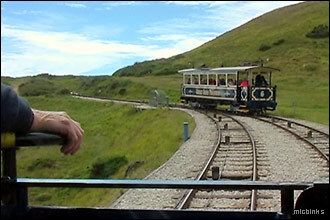 Then in Llandudno we hop on board a vintage tramcar for a ride on the quaint Great Orme Tramway to the summit of the Great Orme Country Park and Nature Reserve. 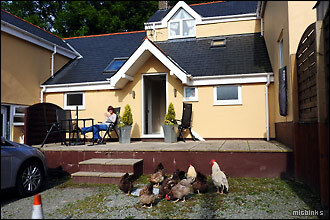 Oh, let's also take a quick peek at our lovely self-catering holiday cottage near Llanrwst. 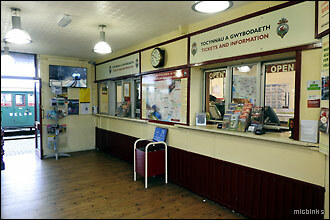 This is page three of three. 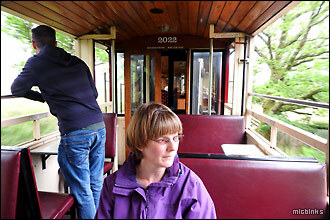 ...Sygun Copper Mine there, so it was at Beddgelert we alighted. 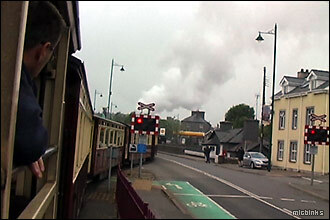 The Welsh Highland line originally closed in 1936 and fully reopened as a heritage railway in 2009. 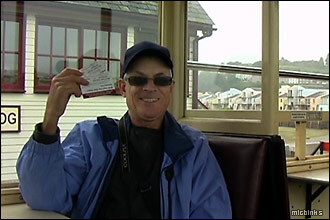 We thoroughly enjoyed our trip! 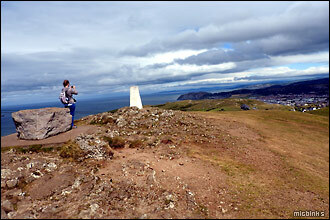 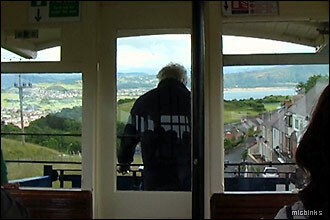 ...so we soon got back on the Great Orme Tramway for the descent back down to Llandudno. 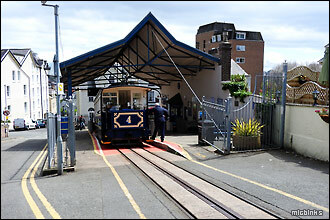 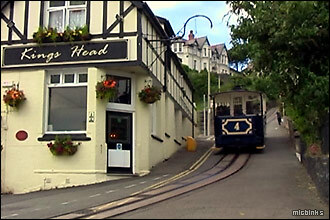 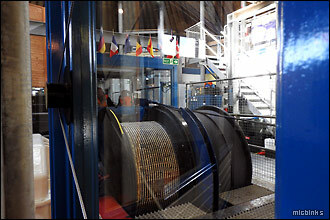 There's also a cable car to the summit, the longest in Britain. 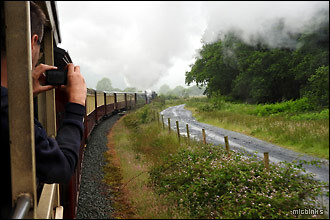 North Wales has an abundance of preserved railways. 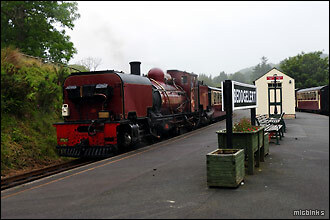 Many were built to support Snowdonia's slate mining and quarrying industry but now fulfil a very different purpose - supporting Snowdonia's tourist industry! 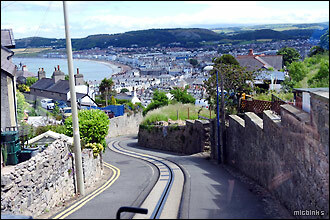 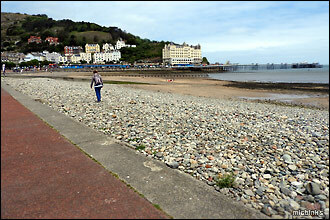 We can wholeheartedly recommend a visit to this area of North Wales, no doubt we'll be back again soon. 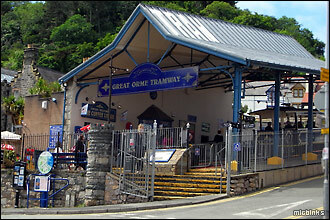 If you'd like to discover more about Snowdonia please see our collection of UK tourism resources. 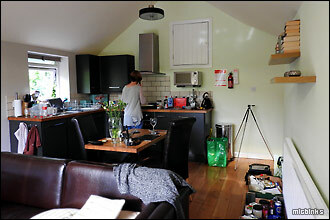 ...cooked in the cottage's modern kitchen. 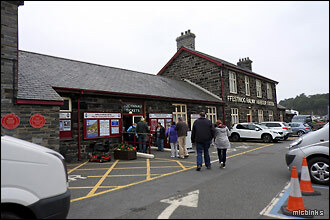 Being an extremely popular tourist area, there's an abundance of fine accommodation in Snowdonia to suit everyone from outdoor walking types to families - and even just couples like us. 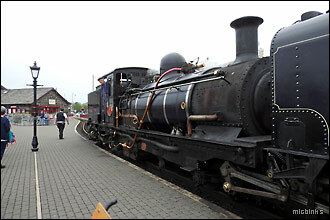 Other scenic heritage railways visited in Wales include the Welshpool & Llanfair Caereinion.